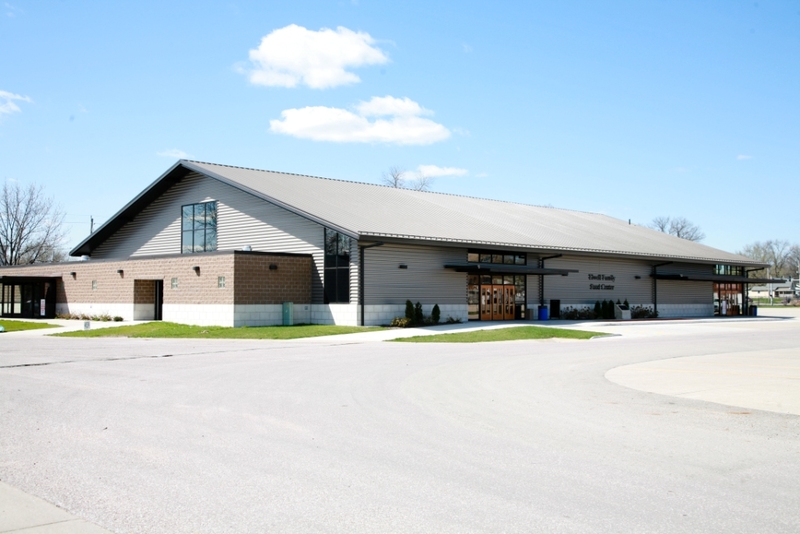 The Iowa State Fair Family Center enjoyed a more spacious and new home during the 2007 Fair thanks to a $1 million gift by Denny and Candy Elwell of West Des Moines. Their contribution transformed the existing Iowa Tourism Building into the new Elwell Family Food Center and has created a more spacious environment for all competitive food judging and displays. The project was completed in time for the 2009 Iowa State Fair. “Denny and Candy Elwell’s generous gift will leave a wonderful legacy for their entire family and an institution that they all have loved. It sets an example for others to follow and it will provide much enjoyment for generations upon generations of Fairgoers,” said Blue Ribbon Foundation Executive Director John Putney. The Iowa State Fair’s food competition is the country’s largest state fair food department. It offers 894 classes and 216 divisions. The Elwell Family Food Center will provide additional space for judging, viewing exhibits and showcasing the culinary talents of Iowa in a more comfortable atmosphere.